Gravity generators and college classes make living on the moon boring. All eighteen-year-old Madi wants is to finish her training so she can become a shuttle pilot and explore the solar system. But when her parents disappear and the government refuses to help, she’s forced to take matters in her own hands. Her search leads her to Earth, long-abandoned after an apocalypse. Instead of a barren wasteland, Madi finds a garden paradise and a war that will change everything. 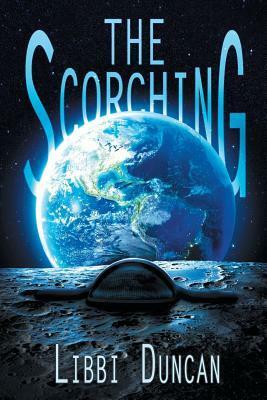 With a creative imagining of a post-apocalyptic Earth, The Scorching is an animated YA sci-fi story. Madi is a strong, determined, adventurous main character who is easily relatable. This book is sure to appeal to both young adult and adult readers with its intense action, surprising plot twists, and charming romance. It was a fun read, Teagan – hugs! The cover is great and I really like the sound of this book. Libbi is also with my publisher and our cover designer does a fantastic job.